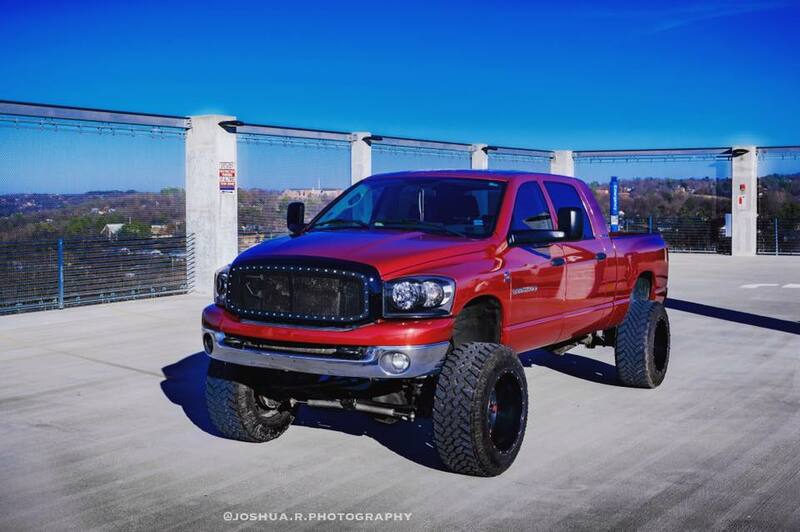 We have a wide range of custom cars or trucks for you to choose from! Midwest Motor Co. is a custom car dealer, located in Joplin, Missouri. Our focus is on built performance vehicles, 4WD heavy duty trucks and diesels. We track down hard to find and unique vehicles and offer them at competitive prices that come standard with a powertrain warranty! Our experienced staff will answer all your questions and help get you into that vehicle you’ve always wanted. Call us today with any questions or to schedule a visit! We look forward to serving you! Why buy a car and then spend hours customizing? We can customize the car or truck you choose just the way you want before you take it home. We can help you get financed just like any other dealer. Let us help you get your dream car! If your looking for something that we don't have, contact us and let us help you find it. If you buy a vehicle from us, you won't find anything else like it. PERIOD! Nothing screams custom like a custom paintjob. Wraps provide a great way to change the appearance of a car with the added benefit of being able to go back to the original color. 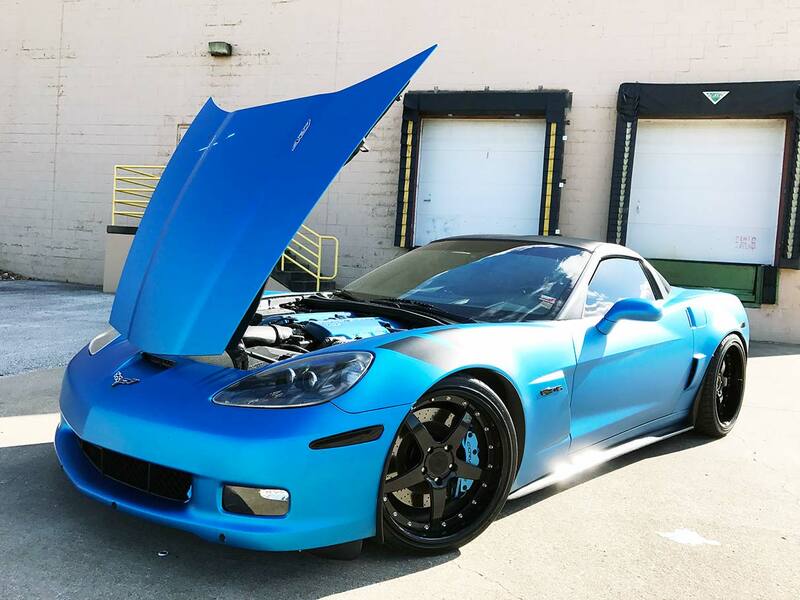 Underneath this mettalic blue wrap on this corvette the car is black. Want your windows tinted? Done! Not loud enough? No problem we can add exhaust and a ton of other modifications to your car. I've known the owner of Midwest Motor Co for a few years now and he has always had some of the best built cars. When he ventured into his own business I knew he would be successful and treat the customers in the best of ways. Would buy from Midwest any day. Hi my names Zane. I had been looking for a Mazdaspeed 3 for over a year. While looking online I came across the Midwest motors page. While looking through their inventory I came across a 2012 Mazdaspeed 3. I contacted Cam and asked for details on the car, he was very insightful and helped me get the car I'd been looking for. The customer service and buying experience was top notch, Cam made made me feel like I was a friend not just a customer. I look forward to doing future business with Cam and the Midwest motors group. Known the owner for years. One of the most honest guys I know. Personally and professionally. Always has great product and knowledge and stands behind his word. The owner is a great guy, cool cars too!! Keep it up buddy! The Owner is an awesome guy. Very nice, very professional, and all of the vehicles are everything he says they are. I would never hesitate to buy from him and always recommend him when I know of someone looking for an fun and awesome vehicle. Keep up the great work!